Special Collections and University Archives is pleased to announce an updated finding aid published for the J.H. Horner photographs (PH200_039). The finding aid is available on Archives West. John Harland Horner (1870-1953) moved to Enterprise, Oregon in 1911 and served as an assessor. He was an amateur historian, active for more than thirty years, documenting the history of Wallowa County. 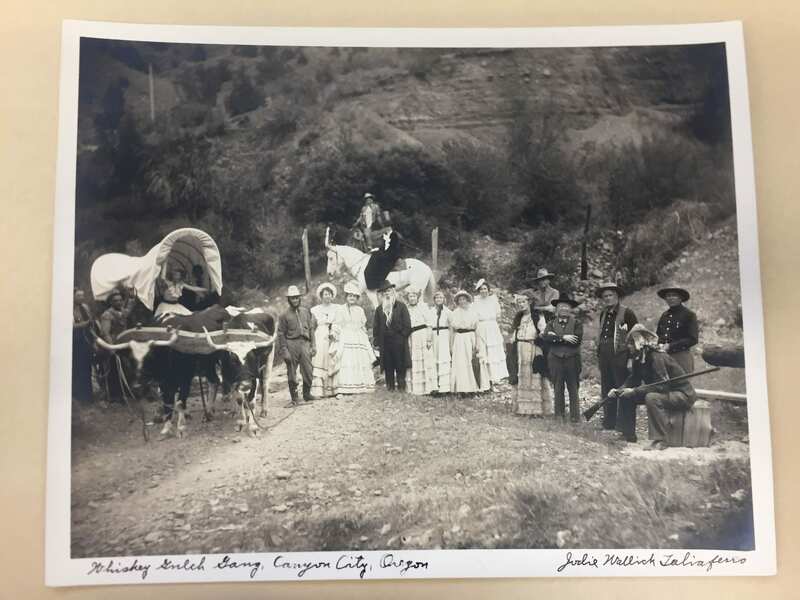 The photographs in this collection cover a wide range of events in Wallowa County, from roughly 1900 to 1930. The primary focus is on the Nez Perce people and events relating to them during this time period. There are a number of photographs documenting the reburial of Chief Joseph the Elder, a funeral ceremony, and the dedication of a monument in his honor. 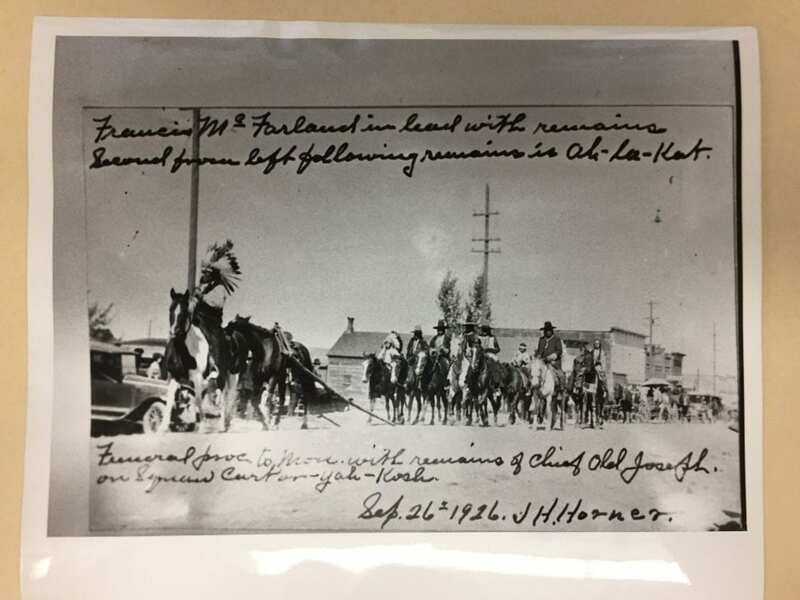 In one image the funeral procession is seen transporting Chief Joseph’s remains to his final resting place, led by Francis McFarland, followed close behind by Ah-la-kat, a Nez Perce warrior. There are numerous Nez Perce portraits in this collection as well. 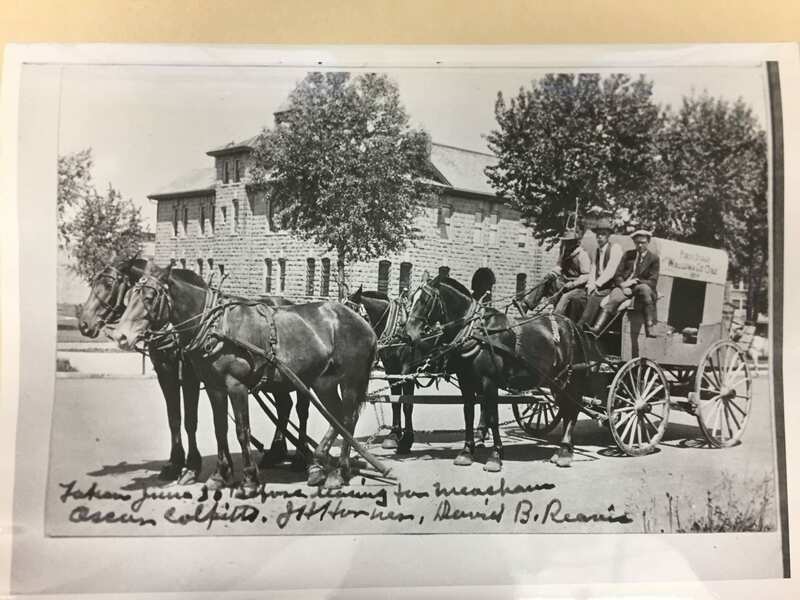 Horner also photographed settlers of the area including people at work on their homesteads, and the first stage coach in Wallowa County, Oregon. This collection presented a challenge in relating the traditional names of the Nez Perce, as they are often written out phonetically due to the language barrier between English and the Native American languages. Moreover, the traditional names are often spelled a number of different ways and this can cause confusion when trying to search for a particular individual or confirm an individual is being represented accurately in the finding aid. Special Collections and University Archives is pleased to announce an updated finding aid published for the Harold Brown photographs of Vernonia (PH200_004). The finding aid is available on Archives West. Harold M. Brown (1887-1956) was born in Minnewaukan, N.D. on June 2, 1887. 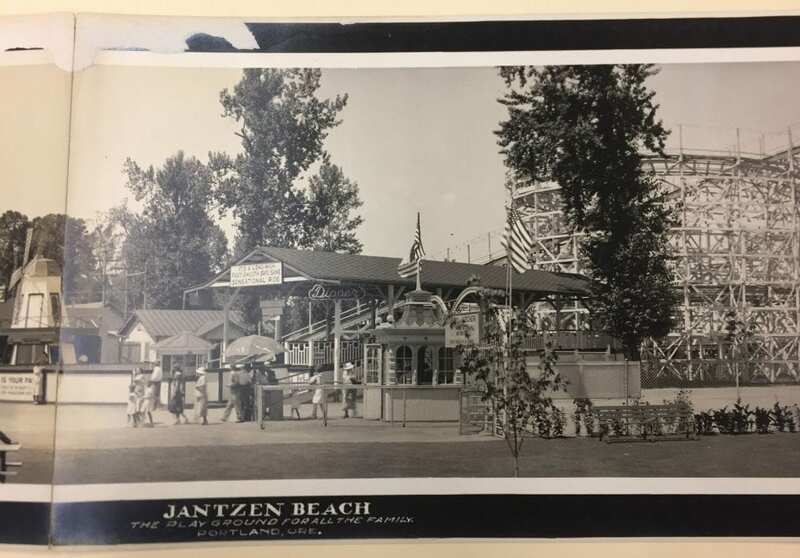 During the first half of the twentieth century, he worked as a commercial photographer, primarily focusing on the lumber and shipping industries in northwestern Oregon and southwestern Washington. 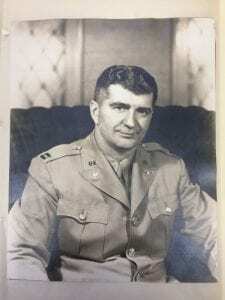 During World War II, Brown also served as an army photographer. Brown was noted for his logging and shipping photographs. 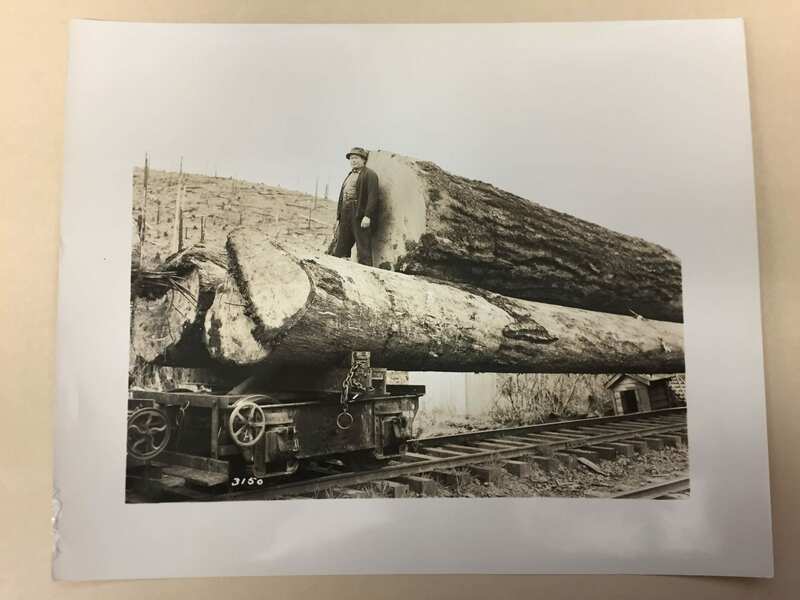 This collection features logging photographs taken during the Oregon-American Lumber Company logging operations in Vernonia, Oregon. Most of the images date from 1948. The collection contains images of the logging camp, felled trees, transportation of logs by railroad and by river, and the processing of lumber at the mill. 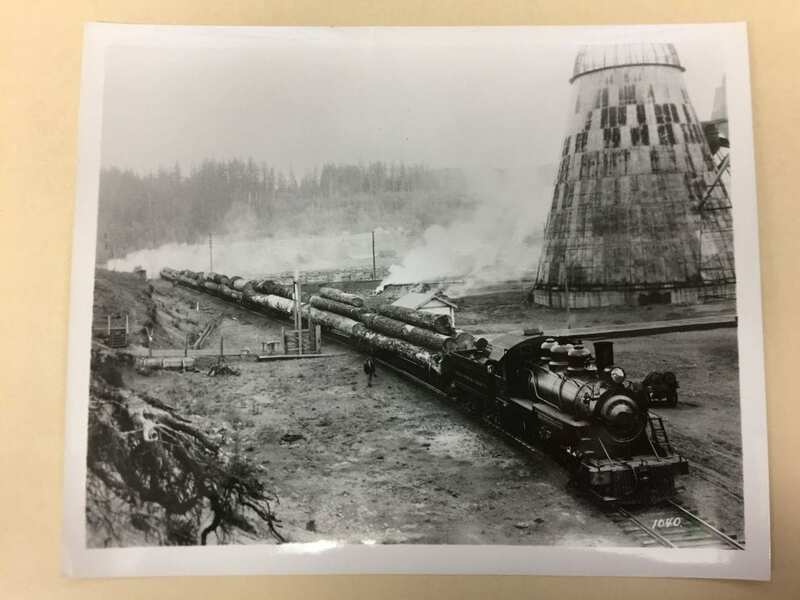 The images represent the full scope of work involved in logging operations during this time in history. Special Collections and University Archives is pleased to announce a new finding aid published for the William Henry Fluhrer papers (Ax 035). The finding aid is available on Archives West. William H. Fluhrer, (1899-1948) known to friends and family as “Heinie,” was a prominent Medford, Oregon resident, and a veteran of both World War I and II. He was born on the Oregon Trail in 1899. His parents were German immigrants and established the Fluhrer Bakery in Medford Oregon, which William later ran. Fluhrer served in the Air Force in both World Wars. During his service in World War II he raised to the rank of Lieutenant Colonel. He was stationed in South America, Africa, Europe, and Asia during his service. Upon his return to the United States, Fluhrer ran for state office in Oregon in 1948. Fluhrer died in a plane crash before the election along with two state representatives and a representative nominee, whom Fluhrer was hosting at Lake of the Woods near Medford. Newspaper articles reporting on Fuhrer’s death included in the collection exemplify the significant presence he had in his community. Special Collections and University Archives is pleased to announce an updated finding aid published for the Jodie Wallick photographs (PH200_006). The finding aid is available on Archives West. This collection features photographs taken by Jodie Wallick during the late 1800s and early 1900s. There is little information about Wallick, but it is documented that she held both a U.S. and a Canadian patent for a photo holder she developed. Wallick clearly had a drive and creativity which she applied to photography.